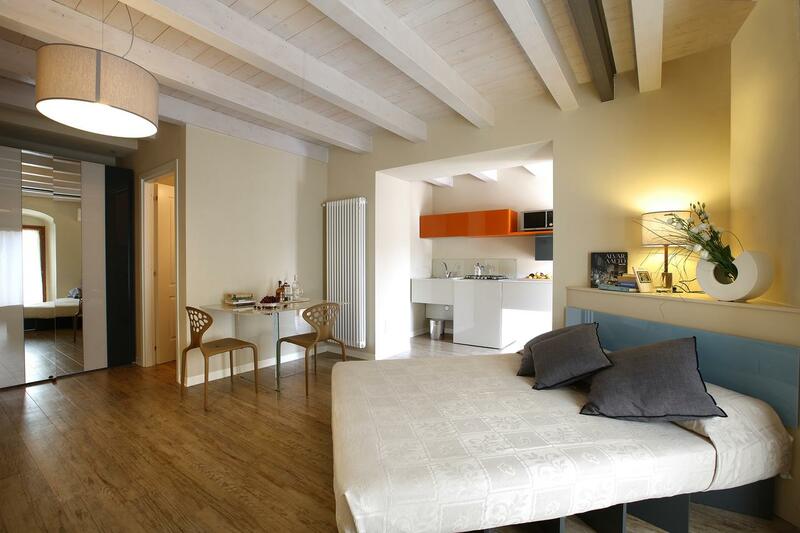 Located in Bardolino centre, Corte San Luca is 50 m from the shores of Lake Garda. It features air-conditioned rooms and apartments. Free WiFi is provided. Guests at Corte San Luca can sample classic Italian cooking at the restaurant. Drinks from the bar can be enjoyed out in the internal courtyard that features an ancient lemon grove. Each type of accommodation includes bed linen and towels, plus a TV with German TV channels. They are soundproofed and overlook the street or the internal courtyard. Bikes are available to rent on site and are a great way to explore the local area. Guests have free access to an outdoor swimming pool located 5 minutes' walk away. The San Luca Corte is 9 km from the A22 Autostrada del Brennero motorway. Free private parking is available on-site.